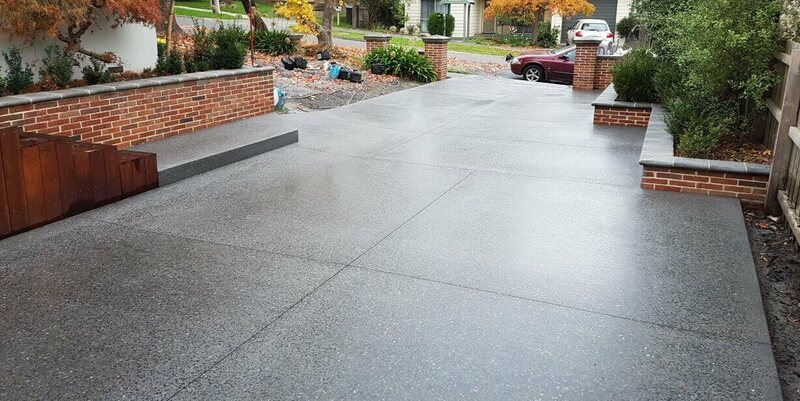 Acid etched concrete is a stunning non slip outdoor finish. Suitable for swimming pools, outdoor entertaining areas, pathways and drive ways. 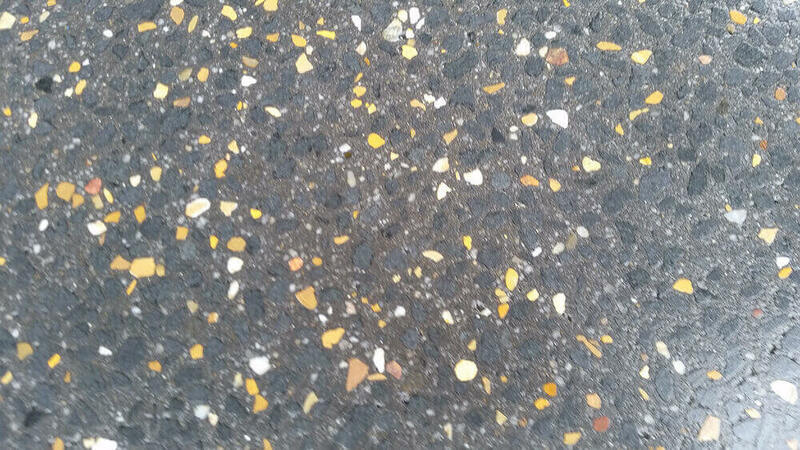 Unlike traditional exposed aggregate concrete it is comfortable under foot. 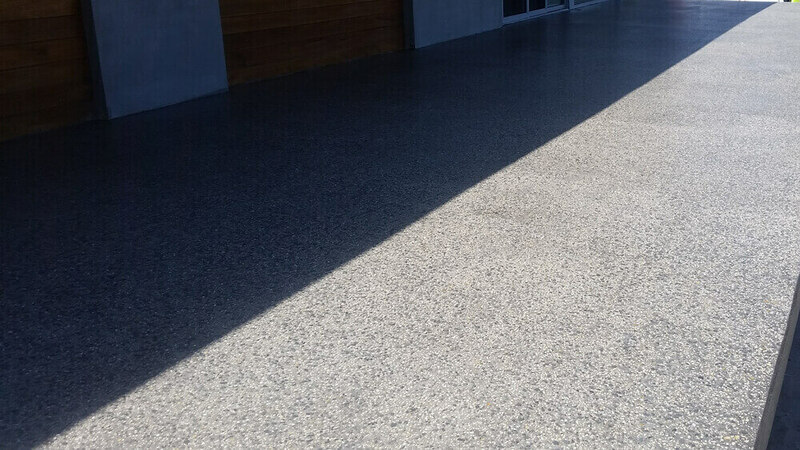 GrindWorks Acid Etched concrete is achieved by grinding the concrete to full exposure. 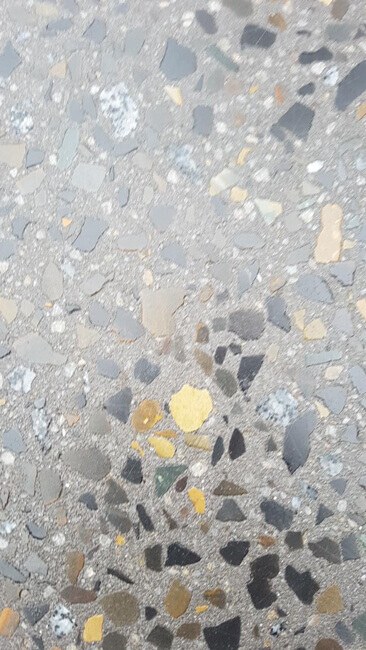 Through a series of finer grit diamonds ensures the removal of scratches and the concrete is then ready to be “Acid Etched”. 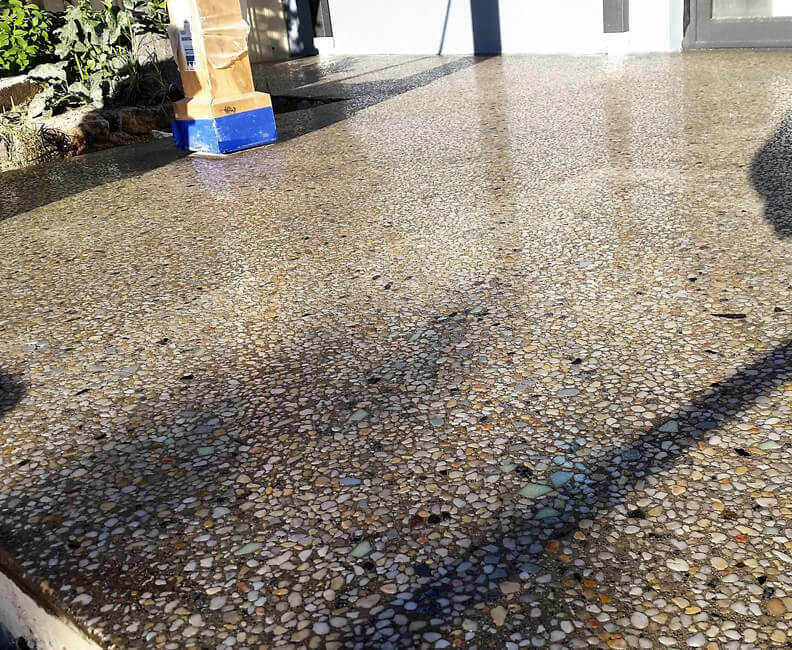 A 50% Hydrochloric Acid and 50% water mix is broomed around evenly allowing the concrete to be “Etched” around the stone offering a flat under foot, non-slip finish ideal for driveways, swimming pools and outdoor entertaining areas. 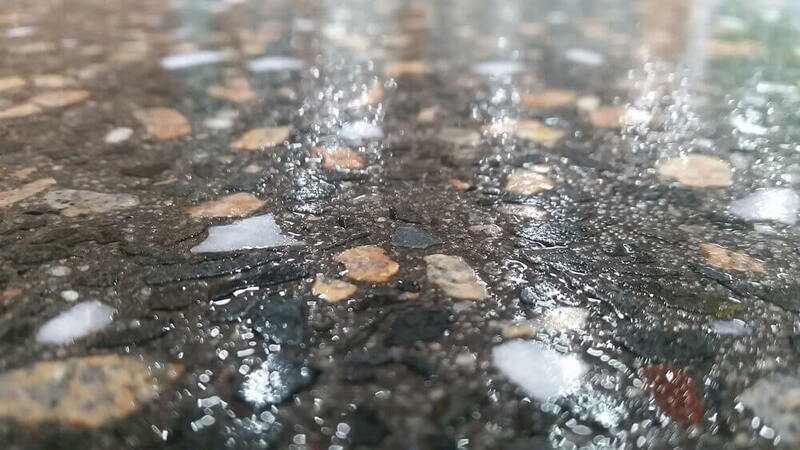 The concrete is then washed with high pressure, dried and sealed with a UV stable polyurethane sealer, delivering a beautiful and long lasting non slip alternative to timber and paving.